Collar of underdress perpendicular to line of collar of overdress. Underdress has full bishop sleeves. 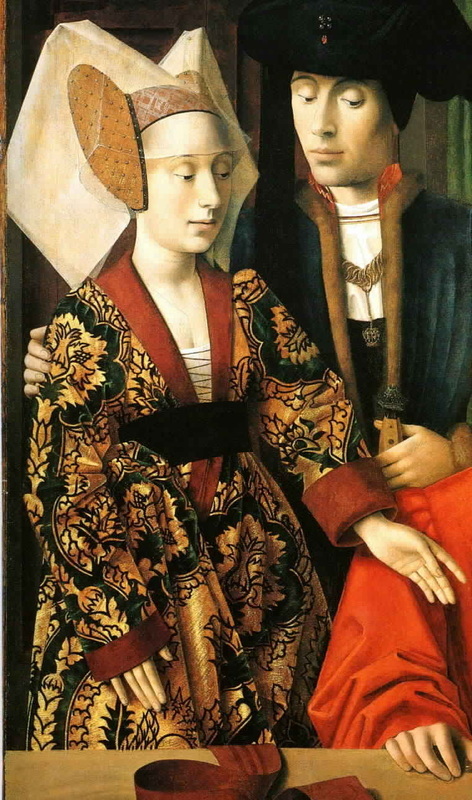 The Magdelena wears a purple houppelande, possibly velvet, lined with green, over a red undergown. Her undersleeves are a gold/green pattern. It looks like there are tassels or a purse hanging down from the underdress to her knees. 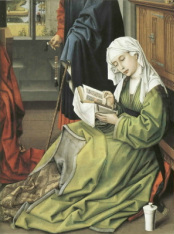 It looks to me like the houppelande sleeves are bound with the green of the lining fabric, but it could be black. An olive green Houppelande with soft grey fur lining & trim around the collar. 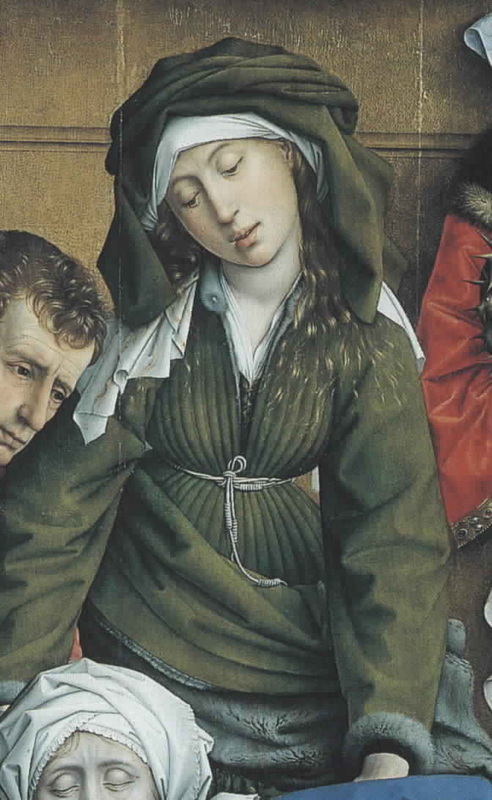 She wears a white knotted cord at her waist and at the bust you can see the edges of the chemise and the underdress which appears to be of the same color as the overdress. 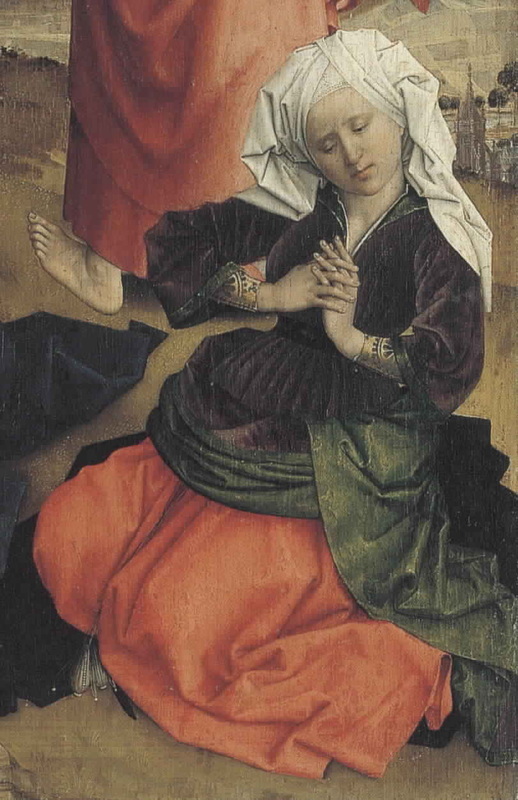 c. 1435 - Rogier van der Weydan. The Magdalen at the immediate left wears an olive Houppelande lined in off-white/light gray fur. 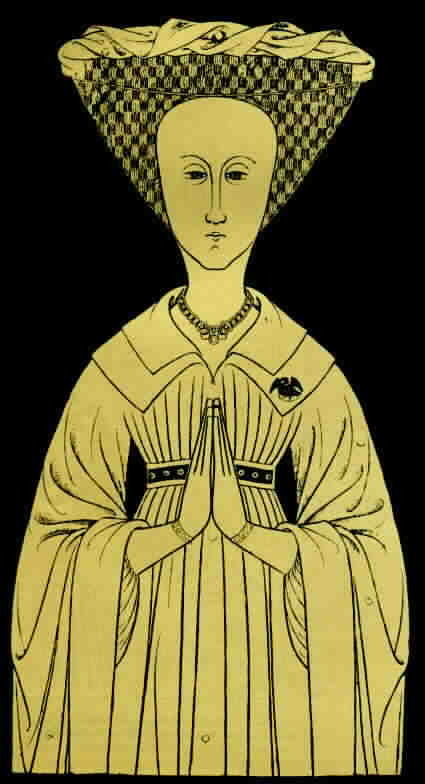 The underdress is a gold brocade. The belt has lovely decorative ends, but I am unable to tell if it is fabric or leather. 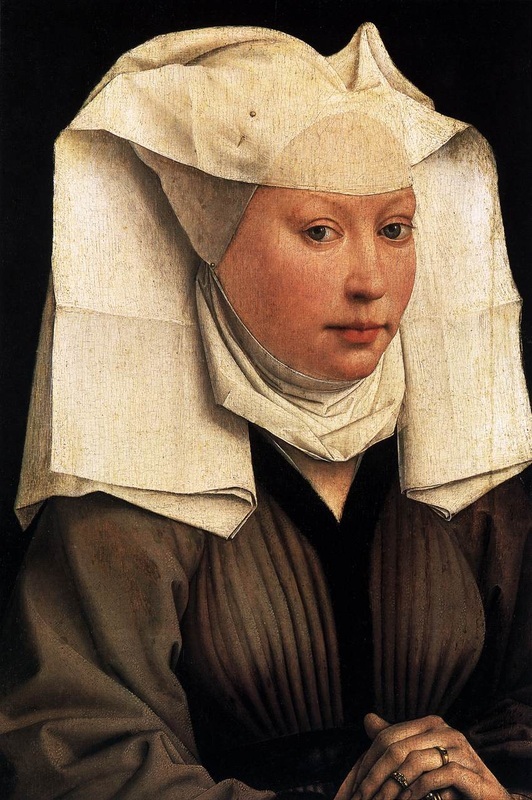 The head-dress seems allegorical. 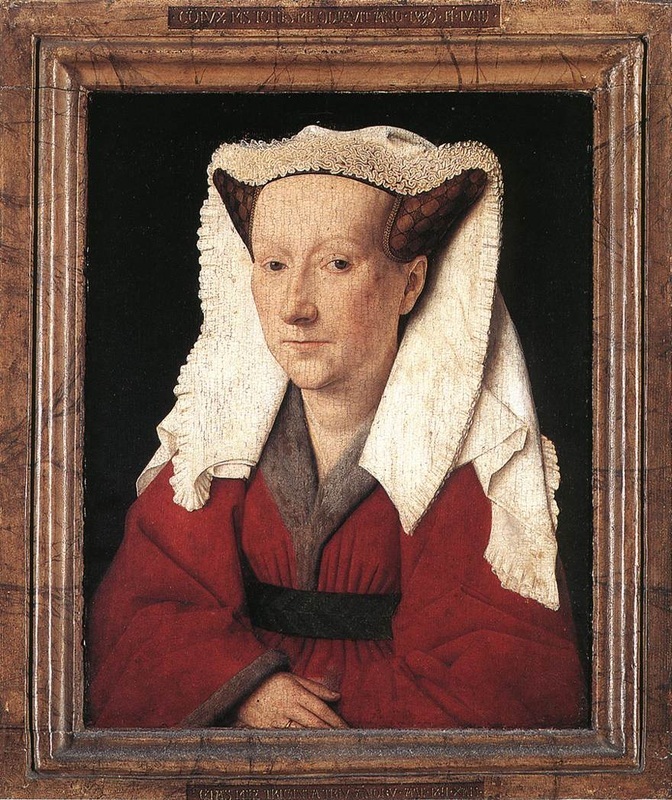 The woman wears a black houppelande lined with grey fur, bagged sleeves with slits show and red undersleeves. Note that the front opening is visible below the waist.